We’re announcing the addition of metric A4 size label sheets to our Peel Out! Shipping Label Sheet line! We now have 47 different standard label sheets layouts for you to choose from. 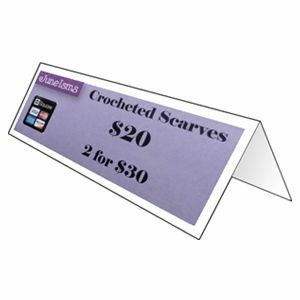 These metric A4 sizes are in addition to the standard letter and legal size shipping label sheets. The metric size label sheets can be used for international shipping or for shipping smaller items (such as jewelry or glasses) domestically. The new metric size comes in three different label layouts, two of which can come with or without a perforation. 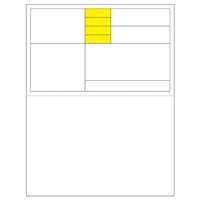 LS-A4-A: This layout comes with or without a perforation. Its 102x64mm label is in the top right (or bottom left). If the option with a perforation is chosen, the perforation is 94mm from the top when holding the paper with the label in the top right. LS-A4-B: This layout also comes with or without a perforation. It has two 102x64mm labels at the bottom (or top). If the option with a perforation is chose, the perforation is 94mm from the bottom when holding the paper with the labels at the bottom. LS-A4-C: This layout does not come with a perforation. Its 202x89mm label is at the bottom (or top). This larger label is great for printing out shipping labels on. Other metric label layouts are available when designing your own shipping label sheet. 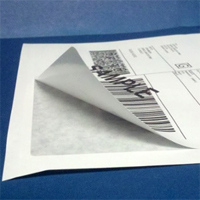 Burris Computer Forms can match virtually any shipping label sheet design. Shipping label sheets are used to combine multiple shipping forms onto a single document with all of the shipping forms that you need on it. This can help speed up your order fulfillment by only having to wait on one sheet to print. It can also improve order accuracy since all of the order information is on the same sheet so you’re not having to match up picking slips with shipping labels. Faster, more accurate shipping can help to improve your customers’ satisfaction. When your customers are happy, they’re more likely to keep coming back to you!